Modular synthesis is everywhere – but there aren’t a lot of new ideas apart from using patch cables to connect them, a concept that dates from the early 1960s and telephone switchboards. Percussa are an outlier – an odd one, to be sure. Their blank, RGB light-up cubes (“AudioCubes”) connect wirelessly, and control associated software. To their credit, while plenty of “tangible” interfaces made the rounds as experiments and research projects, they went as far as commercializing the product. And that’s no mean feat. Anyone with some basic engineering knowledge can snap something into a Eurorack case and be part of a whole ecosystem. But doing something like the AudioCubes means making and supporting custom hardware and software and selling it on its own, along with the unique concept behind it. Now Percussa are back with their second-generation product. It provides some depth to control with the addition of a new controller, plus all-new software backing the sound and providing modular connections. SYNTHOR is the software – Percussa’s solution is designed around the computer as audio engine. 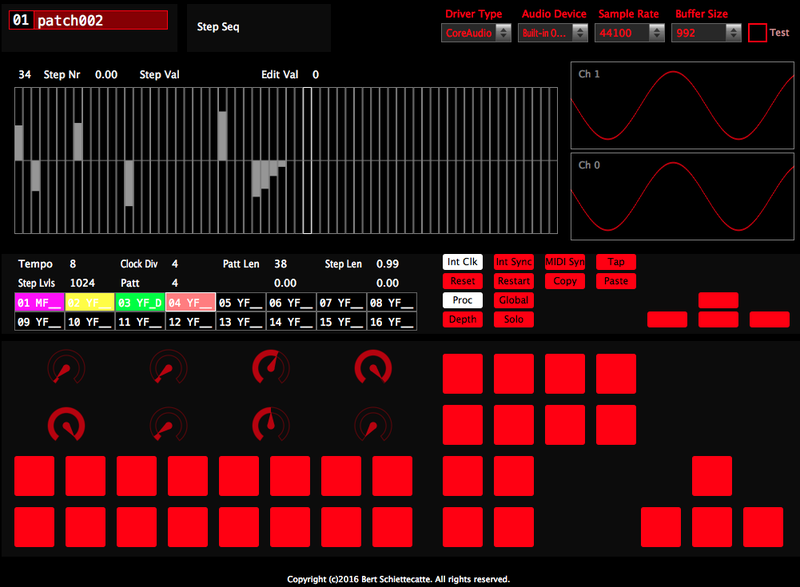 That gives you your sound generators, filters, effects, sequencers, and the like. AudioCubes are wireless cubes that use infrared sensors to connect and know which way they’re turned. Internal light-up RGB provides feedback, but that’s it — so some of this requires keeping track of what’s what in your head. To that, there’s now REMOTE, a USB control surface. It keeps with the minimal aesthetic – no screen, and no labels. But it provides additional control beyond what the cubes do on their own. Those encoders also promise high resolution and high quality. 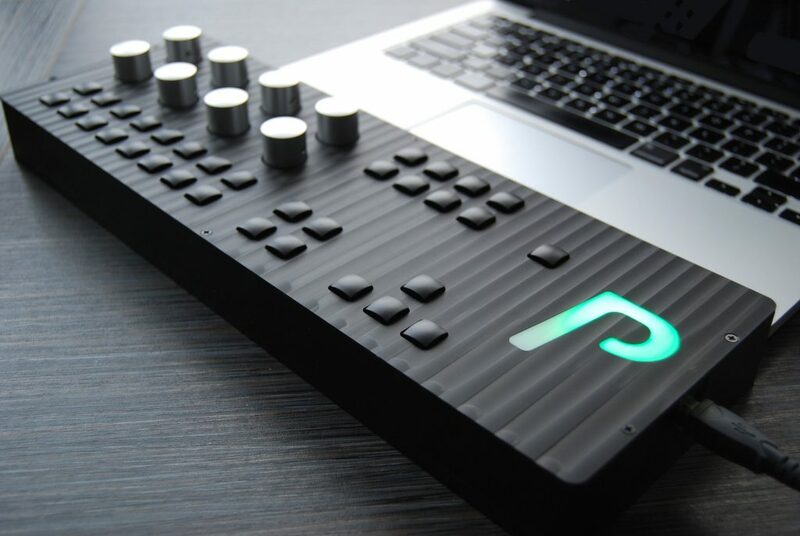 The buttons essentially replace the keyboard and mouse for making selections of presets and modules. The buttons along the bottom left select one of your cubes (up to 16). Next to that are four dedicated buttons for switching editor level, and directional arrow keys. The eight buttons at top correspond to enabling/disabling options. It’ll be interesting to see who embraces this. It’s certainly a unique direction, and showing up at a gig with colorful cubes you move around adds some visual interest. But the solution suffers from some of the ongoing confusion about how to relate what happens on the computer screen to what you want to control, especially since these devices are label- and display-free. And the fundamental question here remains whether you want to play with sixteen blocks in the first place. But I think the addition of the REMOTE control and updated software make this a much more complete solution. Also, demonstrating an interest in expanding beyond the world of Eurorack and wires, it’s fitting that the new system is debuting at Chicago’s Knobcon. You can now buy (preorder) complete systems with eight or sixteen cubes and everything you need. Any Percussa users out there, we’d love to hear from you (or see your performance sets!) — thanks!